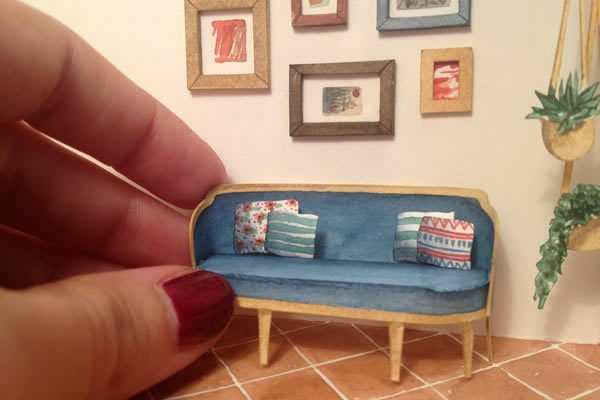 Barcelona-based illustrator Mar Cerdà has a way with watercolour and paper. 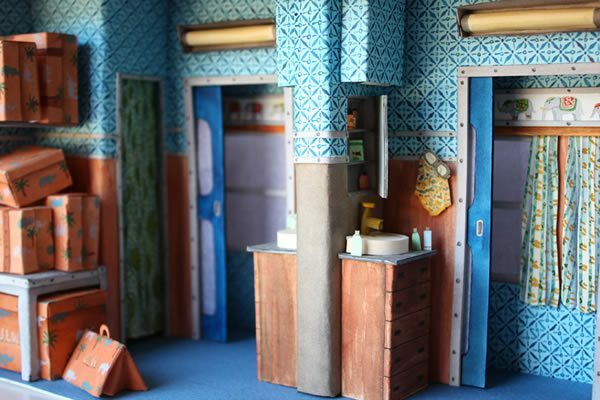 She uses both to create her implausibly detailed — oft-humorous; sometimes bittersweet — dioramas that depict stories in miniature form. 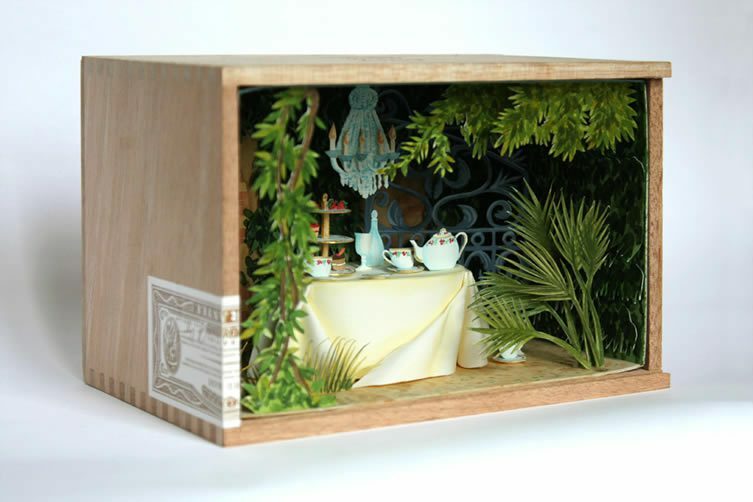 Let’s call her ‘The Paper Miniaturist’. 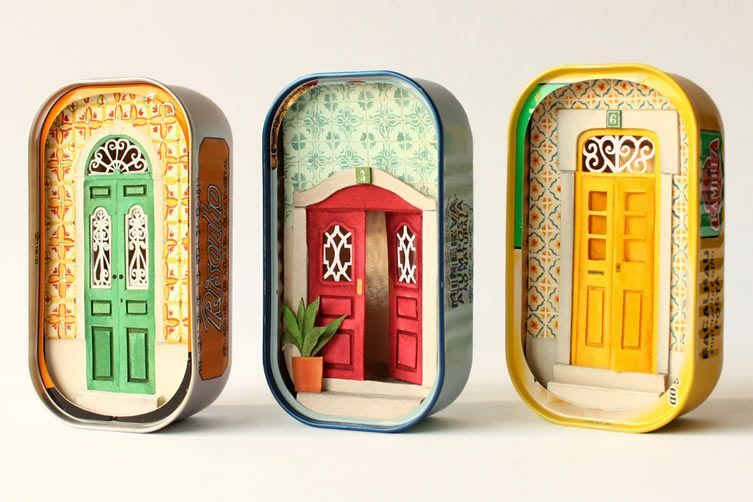 In her seemingly painstaking, highly-crafted miniature creations, each detail is captured delightfully; from hand-written letters with tiny addresses and stamps, to detail on wall coverings such as ceramic tiles. There is nostalgia and charm too, an aesthetic reminiscent of an age when Technicolor did not yet exist. 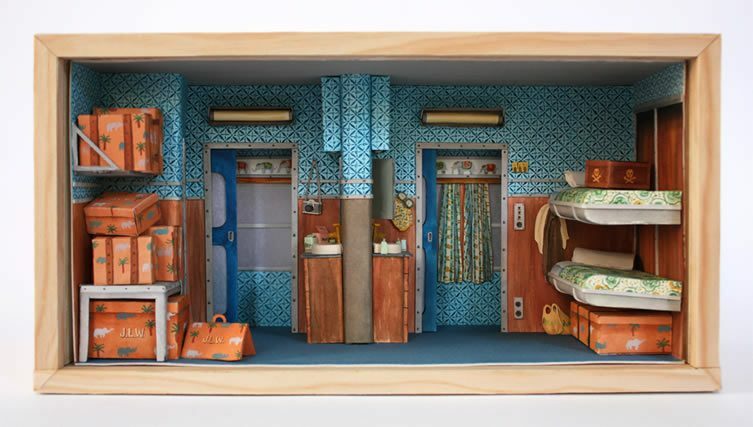 Influenced by her home city, but also by film and theatre, Cerdà has recently received acclaim for her Wes Anderson-inspired dioramas exhibited at San Fransisco’s Spoke Art Gallery. 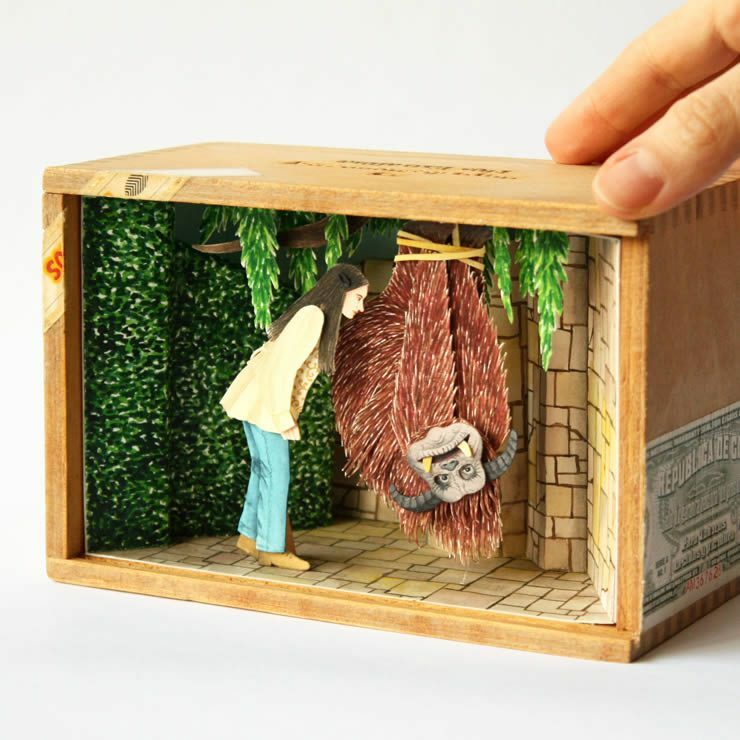 There’s something childlike in her work and, considering she has illustrated over twenty books for Spanish publishers, it’s clear she’s not only highly gifted, but playful in her approach. 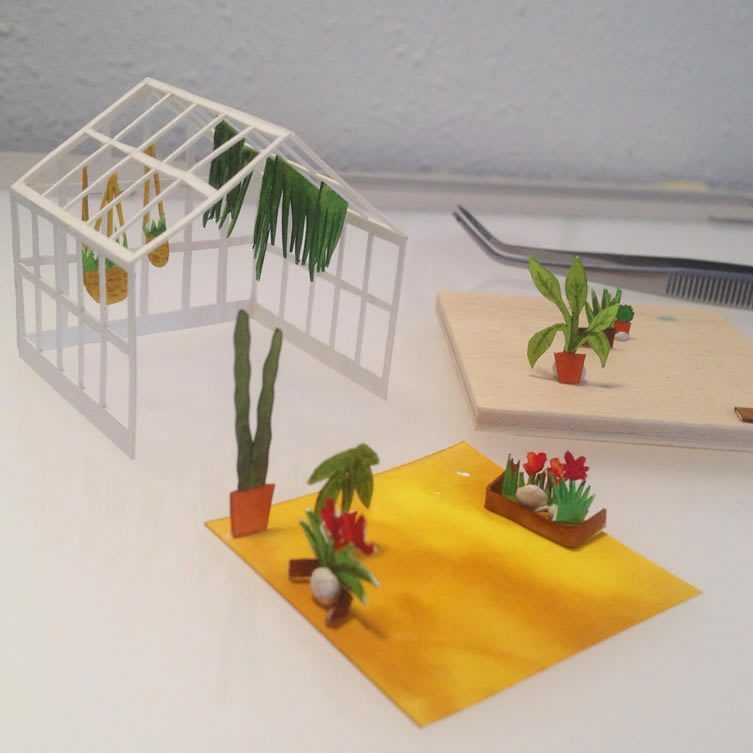 Can you tell us about your training in cinema and audiovisual; where did you study, and how did you arrive at making tiny creations using paper and watercolours? I studied cinema in ESCAC, specialising in art direction, and when I had the opportunity to illustrate a children’s book suddenly 2D wasn’t enough for me. 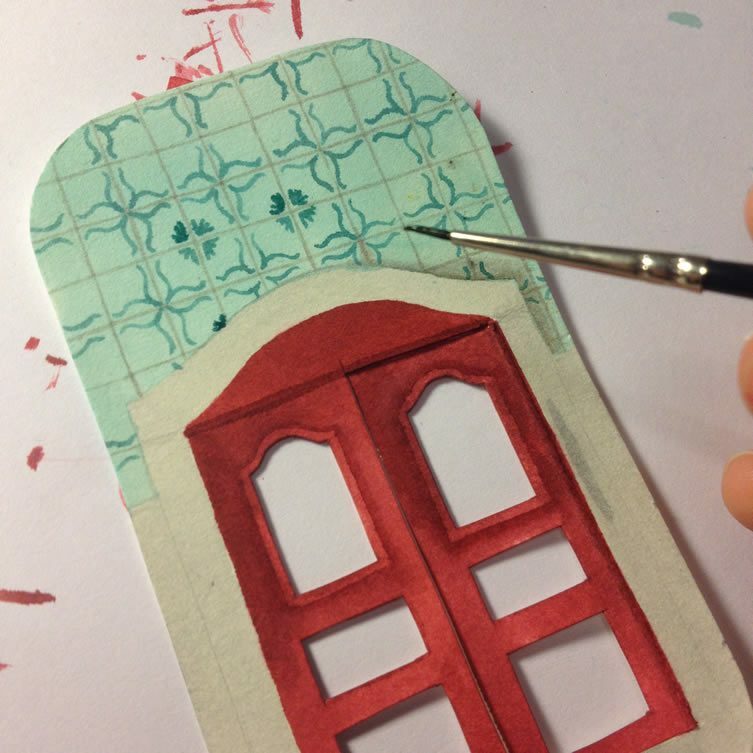 I started cutting paper and creating little houses in 3D for the main characters in my first book, and I got hooked. Studying cinema had a great influence on the way I illustrate, not only taking influence from movies but also by the craft of making movies: the light, the mise-en-scène and, above all, the space. 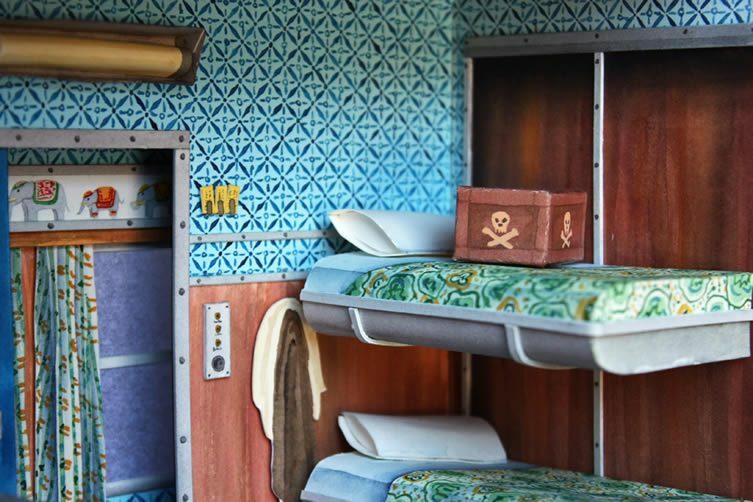 Like you, I love Wes Anderson, how did your The Grand Budapest Hotel and The Darjeeling Limited dioramas for the Bad Dads V exhibition come about? 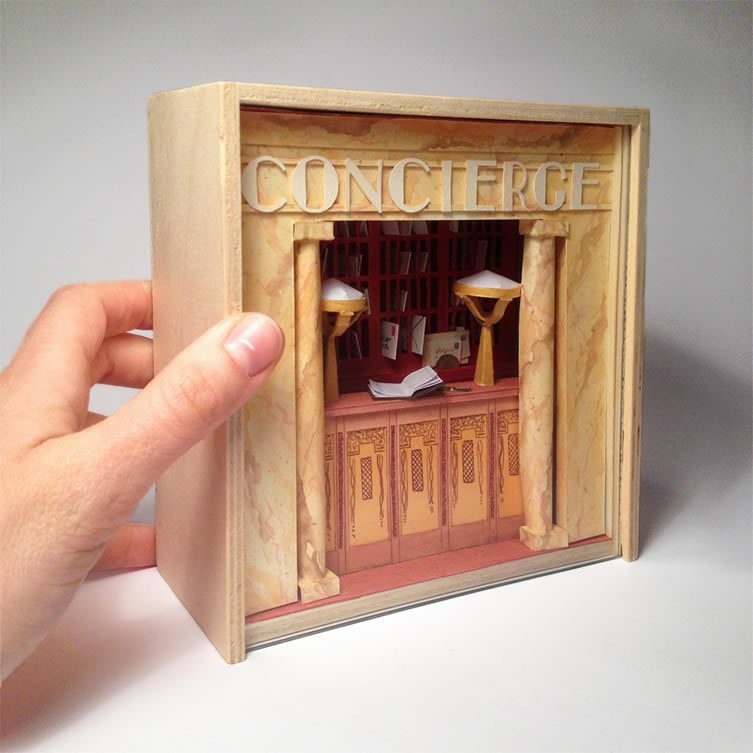 I started doing dioramas of my travels and the spaces I liked. One day, I spoke with Ken Harman from Spoke Art Gallery via my Instagram, I showed him my work and he asked me if I loved cinema. ‘Of course’ I said. He went on to ask if I liked Wes Anderson’s films, and if I would like to be part of his annual tribute show Bad Dads. 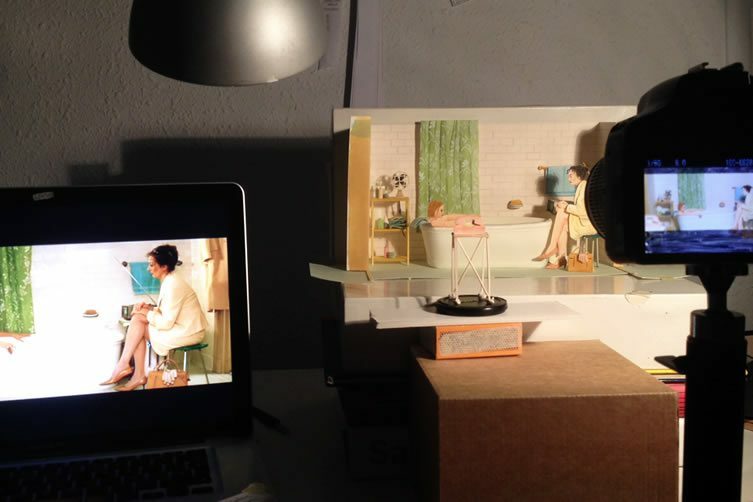 The sense of theatre and the use of frontal-view are some of the most present characteristics in my illustrations, that’s why Anderson’s films fit so well with my way of illustrating; with his symmetrical and frontal view compositions. Where do you live, and what are your favourite places to visit locally? 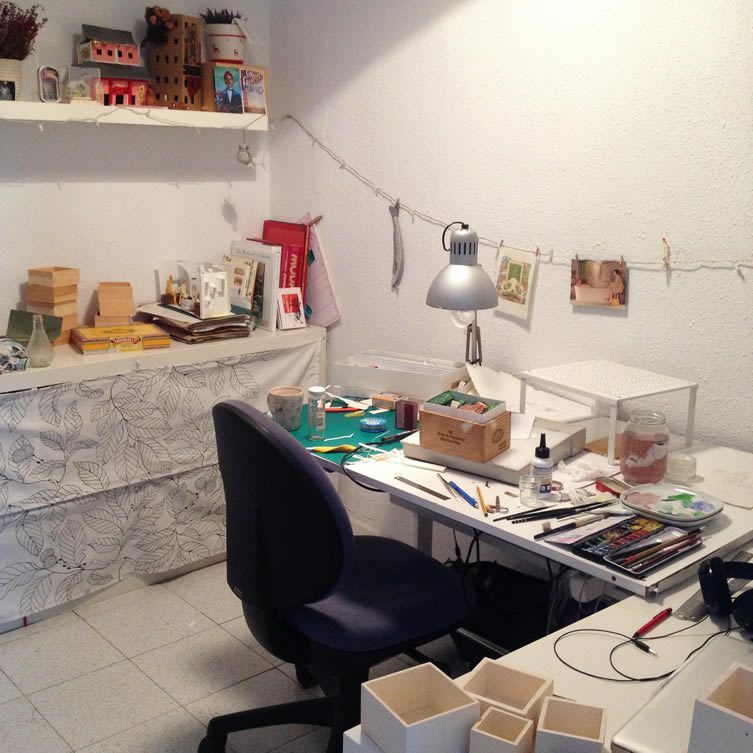 I live in Barcelona, and my studio is five minutes from home in a neighborhood called Gràcia. I love my neighbourhood, it’s really modern and youthful. Two of my favourite shops are Verdejade (selling ceramics, cool objects and prints), and El Diluvio Universal (a gallery-shop with loads of art). My favourite cafés are La Nena (with delicious cakes and our typical hot chocolate), Mama’s Café (delicious cakes too) and Interior de Te (for great Chinese tea). How long do your creations take to make? Where do you start with each project? It depends on the piece; it could be one or two days, or up to three weeks or more. It all starts with a little sketch of what I have in mind, and it continues with research of inspirational images (I like to find just the right tile designs, or the best plants to go with the piece). Beyond film and stage, where else does your inspiration come from? I love my city, and everything in it inspires me. I like to walk everywhere, and on my walks I always observe the details of the buildings. 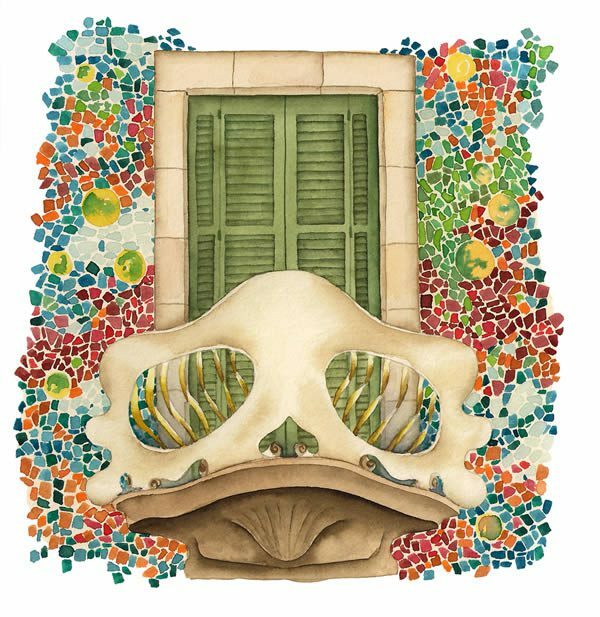 One thing that is repeated in my illustrations (and I think is totally influenced by my city) are the ceramic tiles. Here in Barcelona tiles were very popular at the end of the 19th century; nowadays a lot of houses still have them. I’m also influenced by all the cities I’ve visited. Travelling is so inspiring. What three tools could you not live without? Just three? I would say my watercolours, a brush and a scalpel. 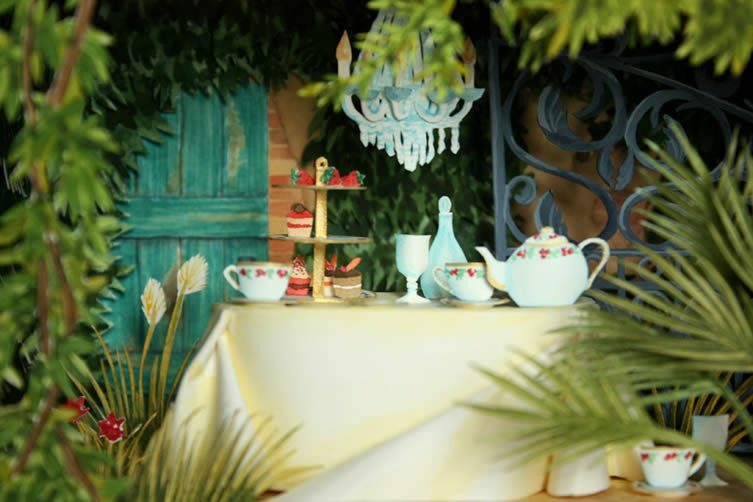 Do you photograph your dioramas yourself? There’s a certain skill in capturing some of your ‘sets’. Have you had to learn the art of still life photography? I’ve learned a little bit of photography, but I’m just beginning. So when I have to do a really creative photo (like the one of Margot in the bathroom), I need help from someone more professional. 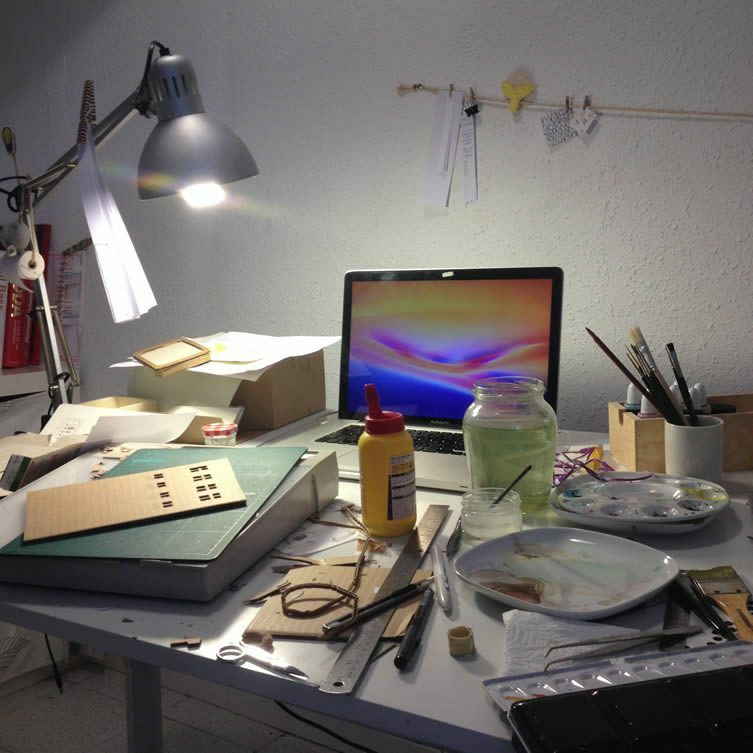 If you weren’t working with paper and watercolour, what do you think you might be doing today? I have absolutely no idea. Probably something creative, though, I can’t live without creativity — perhaps a fashion designer, or an interior designer.